The apocryphal "Chinese curse," "may you live in interesting times," has rarely been so applicable to anyone as it was to Samuel Pepys (1633-1703). He lived through the English Civil War (or the War of the Three Kingdoms, depending on one's point of view), although he was too young to fight in it; witnessed the execution of Charles I; was present on the ship that brought Charles II back to reclaim his crown; and was an eye-witness to both the Great Plague of 1665 and the Great Fire of London the following year. Threats surrounded him throughout his life, but he skilfully sidestepped all of them, dying peacefully in his bed at the age of seventy, a prosperous and respected gentleman. Now a new exhibition at the National Maritime Museum (open until the 28th March) provides new insights into his life and times. 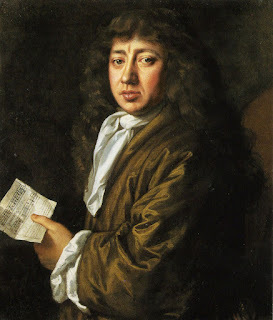 Samuel Pepys, by John Hayls, National Portrait Gallery (image is in the Public Domain). 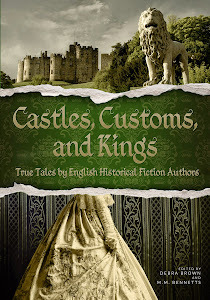 Samuel Pepys was born in Fleet Street, the son of a tailor, but his family was socially mobile. Several of his parents' cousins had successfully carved out positions for themselves in public administration, and it was probably with their assistance that the young Samuel received a first-class education, at Saint Paul's School, and then at Magdalene College, Cambridge. He was never going to follow his father into a humble trade. The most influential figure in Pepys's early life was probably his father's cousin, Sir Edward Montagu. Montagu was a republican, who had fought on Cromwell's side in the Civil War, and served Oliver Cromwell loyally throughout the Commonwealth. It was probably he that took the fifteen year-old Pepys to watch the execution of Charles I in 1649: Pepys's comment on that day, "the memory of the wicked shall rot," suggests that, at this time, he shared his relative's Republican views. Sir Edward Montagu, by Peter Lely, National Portrait Gallery (image is in the Public Domain). By January, 1660, however, when Pepys wrote the first words in his diary, the Commonwealth had fallen apart. Oliver Cromwell was dead, and, whilst Montagu had initially been willing to support the succession of his son, Richard, as Lord Protector, it soon became clear that this was acceptable neither to the army, nor to the public. Montagu deftly changed sides, and was among the first to open negotiations with the future Charles II. 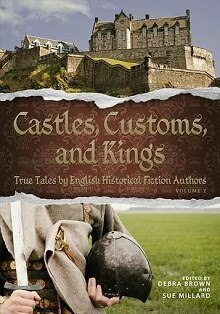 In May of that year, Montagu and Pepys both travelled to the Netherlands, as part of the delegation that would bring the King back to England in triumph. 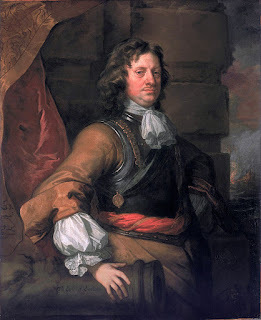 Montagu and Pepys were both now in prime positions to serve the new regime in public office, the former as an Admiral (he would later fall in action against the Dutch in the Battle of Solebay), and the latter as a capable naval administrator. Pepys's diary is not included in the current exhibition (under the terms of Pepys's will, it is not allowed to leave the library of Magdalene College Cambridge), but it documents the specific events of the Restoration (Charles II's triumphal procession through London, the coronation); as well as the politics of the time; and Pepys's own professional life (frequently complaining that others, including his colleagues, but also the King, lacked his own appetite for hard work). 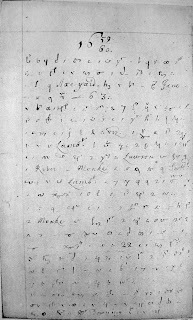 Page from the diary of Samuel Pepys (image is in the Public Domain). 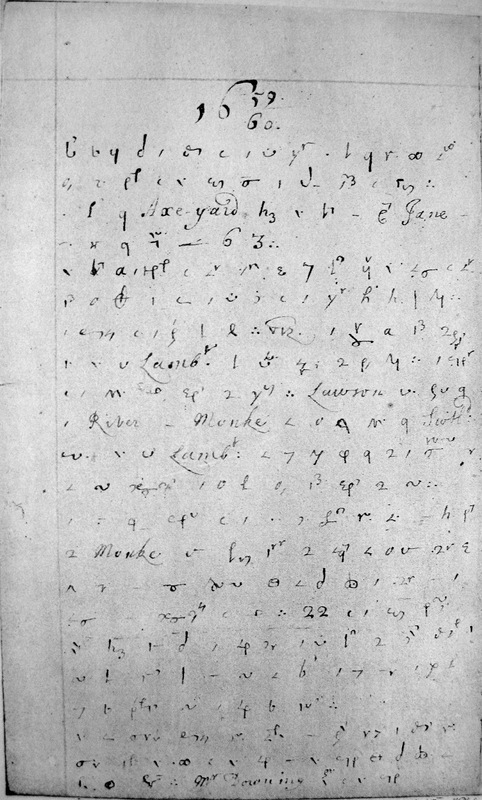 He wrote in a form of shorthand, which is often difficult to read. The diary also documents Pepys's active social life (including his domestic life with his wife, Elisabeth, but also his many infidelities with other women). After more than a decade of Puritan austerity, the British public were ready for a change. London's theatres had been closed throughout the period of the Commonwealth. 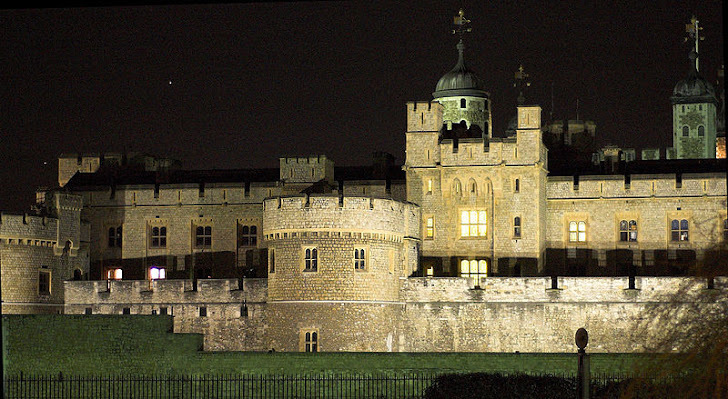 Charles II did not re-open them, but he did give the capital a whole new theatrical culture. Gone forever were the open theatres of Shakespeare's day, which frequently doubled as bear-pits. In their place emerged the new theatres of Covent Garden, on the stages of which, for the first time, Shakespeare's great female roles, including Cleopatra, Juliet and Lady Macbeth, could actually be played by women, rather than boys. 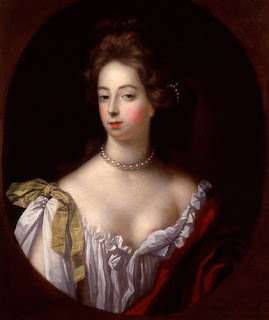 Nell Gwyn, by Simon Verelst, National Portrait Gallery (image is in the Public Domain). Nell was a successful actress, particularly known for her comic roles, and also a mistress of Charles II. Pepys was clearly attracted to her (describing her as "witty, pretty Nell"), but seems to have been wise enough not to act on this attraction. Nor was it only on the stage itself that women had the chance to excel. Women such as Aphra Behn were writing plays and enjoying commercial success. Many of these people knew one another, and Pepys, his ears always open to gossip, charts the unfolding of their relationships, providing the historian with an invaluable guide to the social mores of his time and class. Puritanism, however, had not entirely gone away. 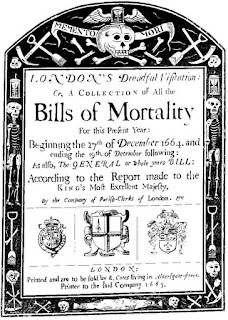 When the plague hit London in 1665 (in itself, simply the most severe of several successive outbreaks), there were plenty of people on hand to mutter that it was divine retribution for the hedonistic excesses of the Court. For safety, Pepys sent his wife to Woolwich, and recommended to his superiors that the Navy move its headquarters to Greenwich, whilst making clear that he was personally happy to remain in the capital. 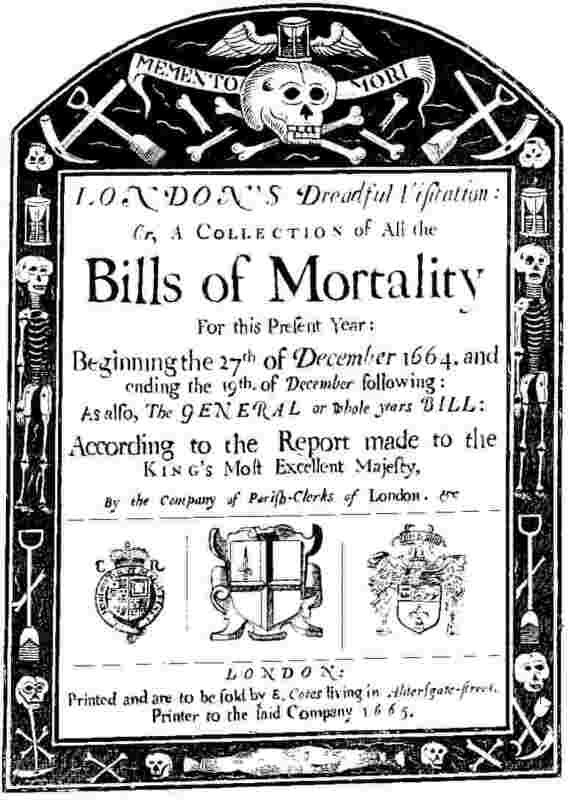 A "Bill of Mortality," documenting the impact of the plague on London (image is in the Public Domain). The fire that swept through London in 1666 attracted a different sort of muttering: although it is now widely seen as an accident, at the time, it was attributed by many to arsonists, probably foreigners, and almost certainly Roman Catholics. The suspicion of "Popish plots" were, from this point in time, never far from the surface, and, following Charles II's death in 1685, the fingers were often pointed at his brother and successor, James II, who was known to be a Catholic. Samuel Pepys had stopped writing in his diary in 1669, concerned that so much writing by candle-light was damaging his eyesight, and could cause him to lose it altogether. He remained a faithful servant both to Charles II and James II, and had a real impact on the development of the Royal Navy as an effective fighting force. 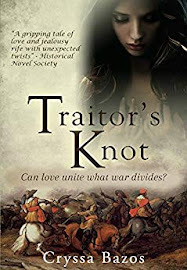 When, in 1688, James was overthrown, and replaced on the throne by his sister, Mary, and her Dutch Protestant husband, William of Orange, Pepys's position with the Royal Navy became untenable - he had simply been too close to the old regime to be favoured by the new one. Perhaps he was, in any case, ready for an honourable retirement, and certainly he had the resources to enjoy it. His private passions included music (he played several instruments), science (he was elected President of the Royal Society in 1684, but admitted that he did not always understand the proceedings he chaired) and, of course, women (his wife, Elisabeth, died, childless, in 1669). The current exhibition offers some fascinating insights into the life of a remarkable man, and the interesting times through which he lived. 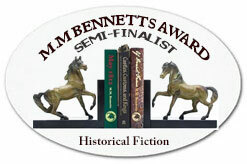 Mark Patton blogs regularly on aspects of history and historical fiction at http://mark-patton.blogspot.co.uk. 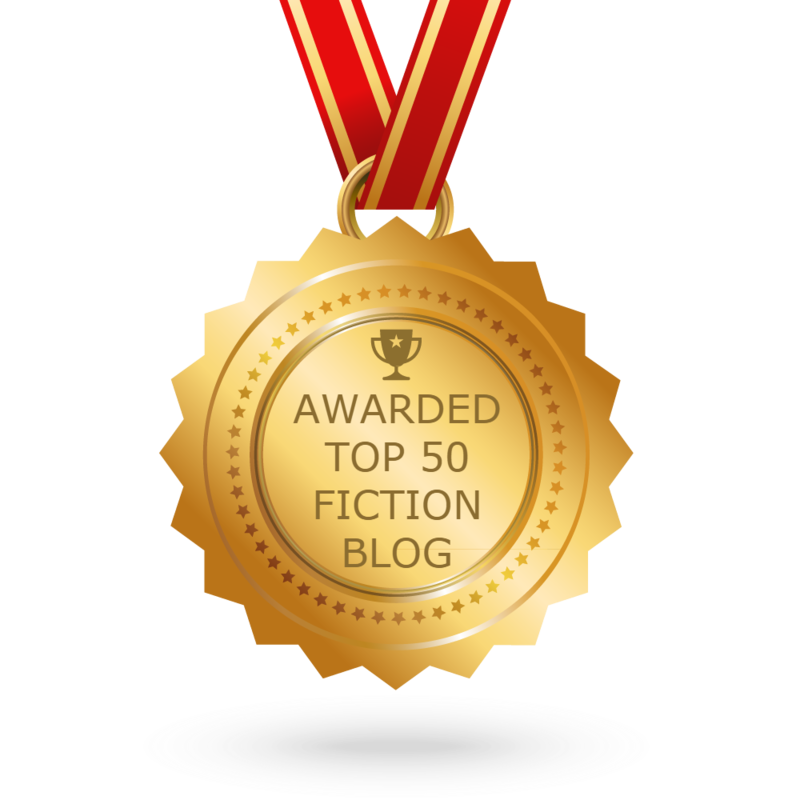 His novels, Undreamed Shores, An Accidental King, and Omphalos, are published by Crooked Cat Publications, and can be purchased from Amazon. 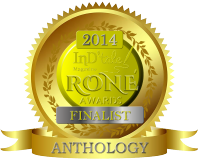 He is currently working on The Cheapside Tales, a London-based trilogy of historical novels. Agreed Sue ... are there any plans for this wonderful exhibit to travel? I'm so grateful you did this story. Thanks, Sue & Sally - I don't know of any plans for the exhibition to travel, but that doesn't mean there aren't any. Sword Names - What's in a Name? What's Yours?